Join our Tours and City Tours Packages to explore and enjoy the best of Vargas State. The city and the most important local attractions of the region. The Vargas state is almost totally coast when facing the Caribbean Sea, but to the south of the state, there is Avila hill, icon of the state and of Caracas, of the Cordillera de la Costa with peaks that exceed 2,000 m as Pico Naiguatá (2.765 m s.n.m). Embedded in Avila as one who hides from the smoke, the sound of chariots and the stress of the city, lies the picturesque village of Galipán, its simple people and its spectacular landscapes make this a magical place. Beautiful view from La Guaira to Tanaguarena. After continuing to climb for 10 minutes we got to the Museum of “The Sea Stones Dreamers”; This is an ecological museum where works are stepped on, touched and even new works can be made. He is dedicated to worshiping women; In fact, in order for the group to enter, at least one woman has to go, watches and shoes are not allowed. The tour is very enjoyable and serves to reflect and relax. The inns are exquisite and the quality of their restaurants really excellent, we find from Mexican food to Basque food. 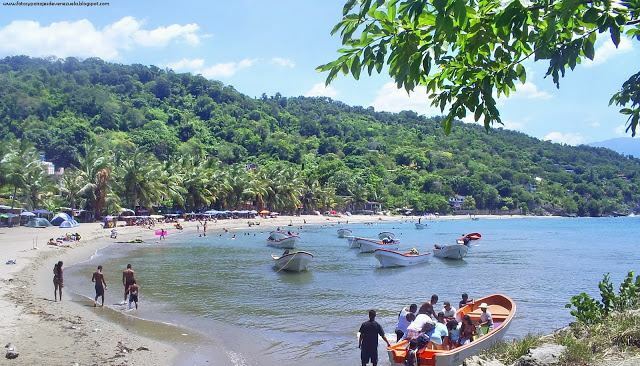 Galipán is one of the most impressive tourist attractions of the Vargas state and thanks to the new policies of expansion and support that the regional executive has adopted. Walking around Galipán breathing pure air revitalizes and brings us closer to God. 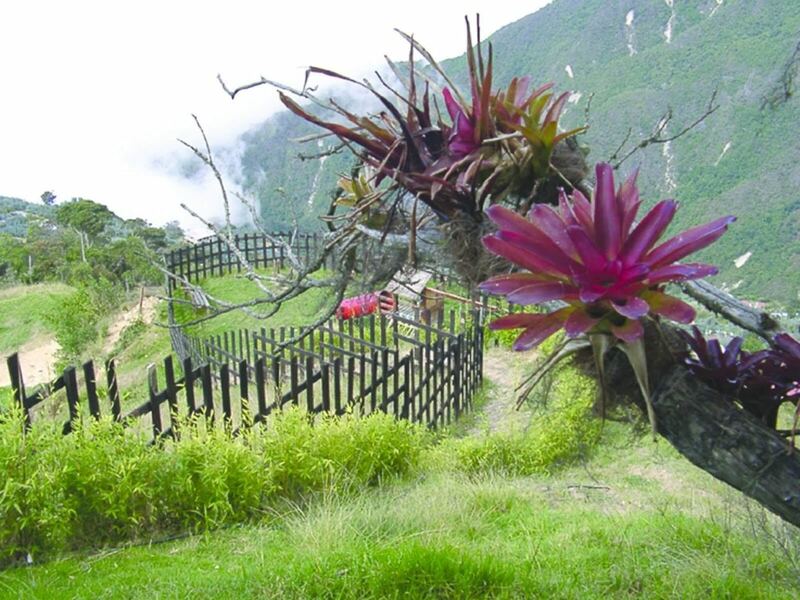 The town of Galipán is characterized by its agricultural activity, particularly floriculture. It stands out for the quality of its fruits and beauty, as well as the delicious aroma of its fields. Visiting it is an experience that opens the senses, with a mountain climate and exclusive views in which you can appreciate with just turn 180 °, the sea and the great Caracas. Exclusive views that can be appreciated by just turning 180 °, the sea and the great city of Caracas. PUERTO CRUZ, VARGAS STATE, VENEZUELA. 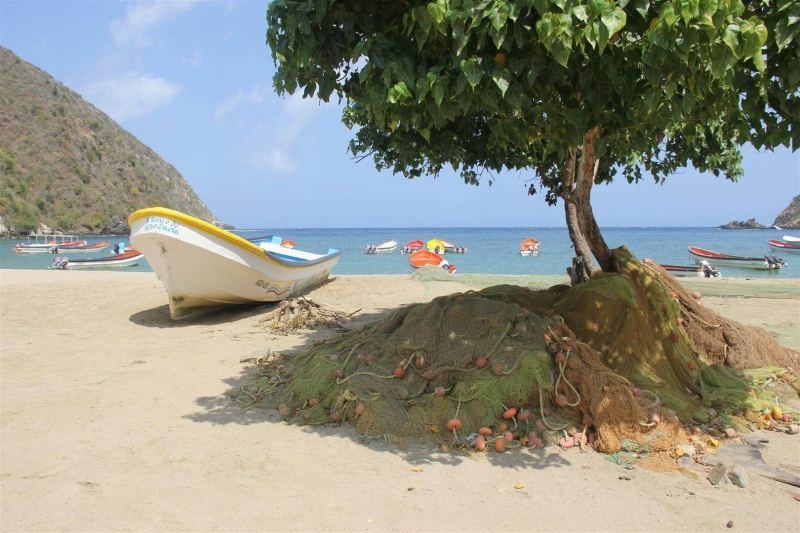 Fishing abundant all year round in Puerto Cruz. Unleash all your senses recharging the beauty of the landscape. As for the services Puerto Cruz is very complete, offers bathrooms with showers, restaurants and parking, therefore, you can camp quietly. It also offers services of peñero and boat to move to Puerto Maya or other places, it is worth mentioning that because this beach has all the necessary characteristics for the practice of underwater fishing. CHICHIRIVICHE DE LA COSTA, VARGAS STATE, VENEZUELA. Chichiriviche de La Costa (it’s not the same as Chichiriviche, Falcón State) Is located in a small spectacular bay, with a fine sand and a very tasty beach. Because of the depth of the bay where the village is located, scuba diving is widely practiced and there are several scuba diving schools in the town. The beach, located at the bottom of the bay, is quite protected from the waves, and there is enough shade to protect the sun. There are a variety of inns to stay at for affordable prices and the fish to eat is fresh. From the village come dressers for the nearby beaches of Puerto Maya and Puerto Cruz, even more paradisiacal and virgin than the same Chichiriviche of La Costa. I highly recommend this beach. Of course, the trip is necessary by car, there is a cement road from the Oricao Club. The trip is about 2 hours from Caracas. When you arrive to the village and walk you will find its streets of land, open houses and people happy and smiling all the time, if you cross the river you will arrive to Plaza Bolívar, with its Church and a colonial house rebuilt inviting visitors to sit in Its banks and enjoy the peace that you breathe every minute, in the colors of the mountain and in the singing of the birds in the afternoon, there are no traffic lights, distributors, traffic, or anything that mortifies you the moment. The cultural manifestations of the region are influenced by the African origin of the population. They are expressed in the use of musical instruments and traditional festivals; Such as: Parrandas de San Juan (June 24), Velorio de Cruz (May), Velorio del Niño Jesús (December), Parranda del Inocente (December 28). 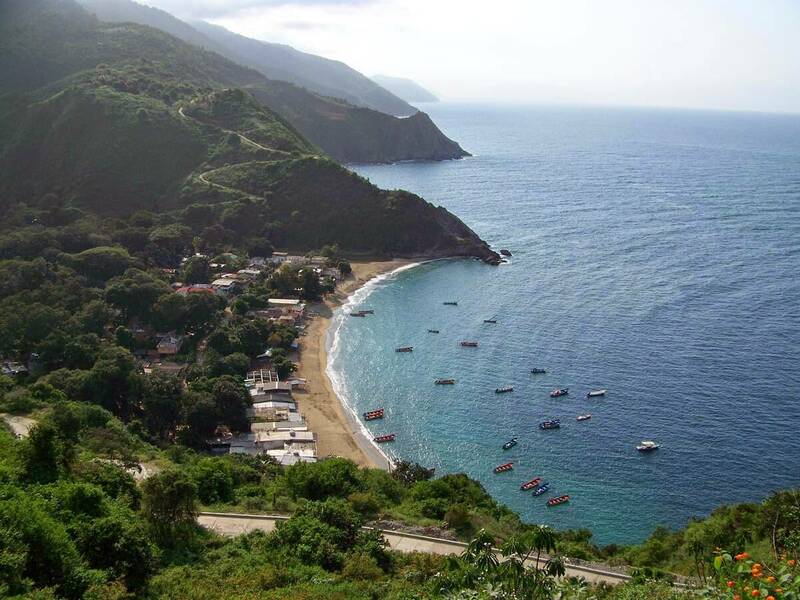 You can go to Caruao in two ways: from Los Caracas by the coast road passing through the villages of Quebrada Seca, Osma, Oritapo, and Todosana, which are beaches formed at the mouths of the rivers in small inlets, which have not been Reported for causing skin rashes or conjunctivitis. Nightlife or nightlife is a collective term used to refer to any popular recreation, leisure and entertainment activity that is performed or is available from dusk or night until the early hours of the morning. These activities are generally aimed at adults or adults / youth, including bars, discos, concerts or live music, clubs, shows or dinners, restaurants and cafés. Under certain circumstances, nightlife can also mean “adult fun”, but other activities can also be included in this term, such as: night city tours visiting illuminated monuments, viewpoints, night visits to museums; Parades and public shows (such as night parades of floats at carnival times, lights or fireworks shows, etc.). Our State Vargas has particular attributes like warm nights, with coasts and beaches that are recognized as one of the best nightlife in Venezuela, for the greater number of offers and places available for the healthy enjoyment of you as a visitor in our region.